There’s nothing as exciting as walking around a gorgeous city and realizing that millions, probably billions, of people have walked where you have. Not only that but some of them were famous people you’ve only read about in books! I studied abroad last semester in Vienna, Austria (which unfortunately did not make this list, sorry Wien!) and one of my favorite things to do was walk around the city while eating some delicious pastry as I passed castles that have seen everyone from Hitler to the Pope. History is one of the best stories you can ever read because not only is it entertaining, it actually happened. Here are some of the most historically rich places around the world. Everyone knows Rome. It’s one of Europe’s top “must sees” places and innumerable tourists flock there every year. Why? Because it’s SO historical! The Colosseum, Roman ruins, the Pantheon, the Trevi Fountain, I could go on and on. Not only are the historical sites a draw, but it’s the city that brought the world Julius Caesar, Saint Augustine, Dante, Machiavelli, and Virgil. Plus Rome is usually the set for famous movies like When in Rome and The Lizzie McGuire Movie, which means you might get to see a famous actor when you’re there, and you’re almost guaranteed to walk somewhere they did. So all of Egypt is historical. This country brought us the pyramids, the sphinx, hieroglyphics, perfected the mummy, and Egyptian gods and goddesses, like the jackal-headed Anubis. 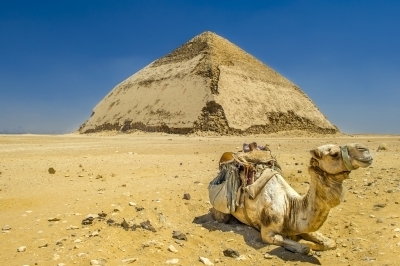 Egypt holds one of the most famous histories of all time because we are naturally intrigued by this foreign land with pharaohs, camels, and the Nile River. Besides that there’s just so much mystery and sand in Egypt that you wonder as you walk if you’re going to stumble upon some long-hidden tomb. History is hiding everywhere. Well, for one, they brought us the Olympics which are currently going on right now. They also brought us philosophy, which I can’t say I’m thankful for Aristotle, Plato, and Socrates. Other things like the famous Greek gods and goddesses, which I have to say, I’m unhealthy obsessed with for a Catholic, and part of The Sisterhood of the Traveling Pants takes place there, so we know it’s awesome. But a huge draw to Greece is the fact that not only does it have so much history with buildings like the Parthenon and the Acropolis, it’s also gorgeous and a lot of it is on the water. This is a double win because you can go and see all these gorgeous destinations and then also have a relaxing vacation on the beach. Everyone knows Israel makes the list; and if you didn’t, you do now. Not only is it steeped in too much history to ever put down in a readable text, but it’s still creating history and drama today. For the devout, especially, this is a historical place to visit. Israel’s capital city, Jerusalem, also known as the Old City, is one of the most sacred places for Christians, Jews, and Islams alike. There, you can visit the Western Wall or the Dome of the Rock. In Israel you can also go to the lowest point on Earth, the Dead Sea, where you can float on top of the water with no fear of sinking. You can also visit Galilee, where, in the Bible, it’s said that Jesus walked on water. Little known fact about Syria, one of it’s cities, Damascus, is the oldest continuously inhabited city in the world. If that’s not historical enough for you, then I honestly can’t tell you any more. Syria is about the size of North Dakota and was conquered both by Egypt and Rome. This means that it has gorgeous Roman ruins including the Ancient Bosra which has a Roman theater from the 2nd century AD. Syria is also home to the Krak des Chevallers which is one of the best, if not the best, preserved Crusader fortresses today. These are just some of the places around the world that are rich in history. Of course there are others like Beirut, London, China, and really every city. These are just some of the top five historically rich places, all of which I hope to one day see. Previous Post: « Model Making: Not Cool, But Still A Fantastic Hobby!